The Christian Association of Nigeria has challenged the founder of Household of God, Pastor Chris Okotie to manage his home and keep to biblical principles of one man, one wife. The association was reacting to the demand by Okotie that its President, Pastor Ayo Oritsejafor, should resign over the alleged involvement of his aircraft in the controversial $9.3m smuggled into South Africa by two Nigerians and an Israeli. Okotie, had in a statement by Okotie on his church’s Facebook page, said, “Considering the collateral damage Pastor Ayo’s close relationship with the President has done to the Christian community, it is fit and proper for the Pastor to resign immediately as CAN President to salvage what remains of the battered image of the association. But the Director of National Issues in CAN, Mr. Sunny Oibe, told SUNDAY PUNCH that Okotie was looking for popularity through Oritsejafor. He said, “Is Chris Okotie a Christian? How many wives has he? He should go and sort out himself. Even the government has exonerated Pastor Ayo of all the allegations. So, who is Okotie? Well, it is laughable if Chris Okotie should demand that Pastor Ayo Oritsejafor should resign as President of CAN. “Chris Okotie should remove the log in his eyes before he begins to see a peck in somebody’s eyes. Pastor Ayo had a soaring integrity before he was elected the President of CAN. 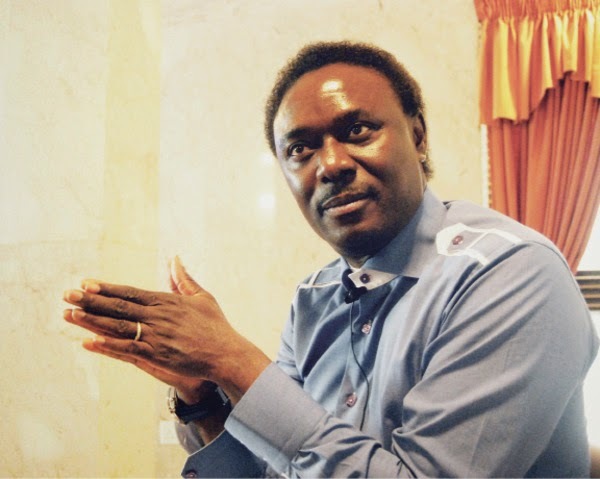 Who elected Chris Okotie to become the spokesperson of Christians in Nigeria?